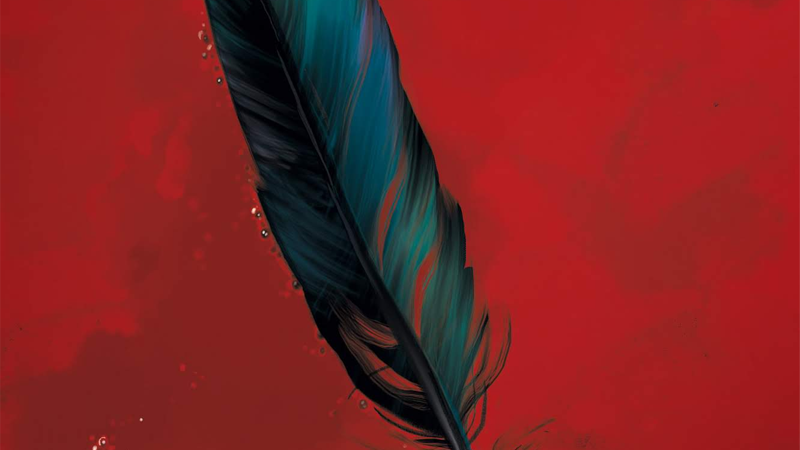 The bloodsoaked cover for Saga #54. Last night, news broke that Brian K. Vaughan and Fiona Staples’s seminal Image sci-fi epic Saga would be going on an extended hiatus following this week’s release of Saga #54. While no particular reason was highlighted in Vaughan and Staples’ statement, but Saga #54 pretty much tells us why with a massive milestone for the series. The current arc of Saga has seen protagonists Marko, Alana, and their daughter Hazel working through the fallout of Prince Robot IV’s decision to sell his scandalous life story to the media, and start a new life with his son—only to have it all come crashing down around them as Ianthe and the captive Will close in on the planet Jetsam. It’s been a bloodbath of an arc—not only did poor photojournalist Doff bite the bullet before his and his partner’s story could get out, Prince Robot IV himself was shockingly offed by the Will at the end of Saga #53. While Saga #54 isn’t done adding to the body count, it’s also the conclusion to an arc that’s touched upon the relationships between fathers and their children, particularly through the lens of Prince Robot IV and his tumultuous relationship with Squire, and how the former’s inability to control himself has irrevocably impacted upon the latter’s psyche. It’s an arc that’s been about the way people see violence—both the act, and the decision on whether to not to act on violence—and how its presence fundamentally changes the way people are, and how that change in turn influences their descendants. Marko and the Will square off in the opening pages of Saga #54. Most of Saga #54 is centered around Marko’s brawl with the Will after the latter’s brutal decapitation of Prince Robot, peppered with Hazel’s ever present narration about the ways her upbringing by Marko and Alana would go on to shape the person she’d become. The actual dialogue itself is sparse, as Marko and the Will’s fight moves from land to Ianthe’s ship, and eventually into orbit over Jetsam, as Marko gets the upper hand over the exhausted, wounded Will. However, in the last moments of the fight, Marko puts down his shield and looks down at Jetsam, choosing not to make a fatal blow against the Will—only for the Will to not be so kind in turn, thrusting his shattered hand right through Marko’s chest. The Will strikes a fatal blow. Marko, one of the most constant presences of Saga’s vast, multi-year journey, is dead. No twist, no comebacks, Hazel’s narration grimly notes on the final page of the issue that not everyone gets the liberty of growing old, as she has—and that people like her father didn’t get that chance. It’s a gutwrenching moment for the series, a knife twisted even further by the news that this is all the Saga we’ll be getting for at least another year, as Vaughan and Staples regroup and recharge. It’s the end of an era for one of the biggest and most important comic of the last few years—but it’s not the complete end. Ever since Saga began, it’s been clear that the journey of starcrossed lovers Alana and Marko was not the main thrust of the story: Hazel has always been Saga’s real protagonist, and up to now it’s mostly been about how a life on the run with her parents would come to shape the person she’ll one day end up being. We’ve watched her grow and face hardships, and be told that those hardships will one day forge her into a person her parents would be proud of. The lesson Marko’s death provides, will be one that Hazel carries with her wherever Saga’s story goes next. The final moments of Saga #54 make it clear that Hazel’s journey is only really just beginning, even as it takes a heartbreaking moment to flash back to a happier time for Marko and his daughter. With the time away it’ll have, it’s likely that Saga is about to enter a whole new chapter with Hazel as the primary focus. Maybe there’ll be a timeskip in the story too, or maybe it’ll pick up directly where Saga #54 leaves off, with Marko’s lifeless body staring out into the stars. Whenever and however Saga does return, it’ll be in a very different place to where fans have known it without Marko.